The results detail revenue growth of 29% and a 6% increase in gross profit when compared to the same nine-month period in 2016. While the first half volume growth continued in the third quarter, the third quarter also benefited cycling a weak third quarter last year. Cost of sales increased by 47% in the nine months due to the challenging economic environment. Finance costs also increased significantly versus last year. As a result the financial statement released to the Nigerian Stock Exchange yesterday included a company loss after tax of N2.6 billion for the nine months under consideration. Commenting on the results, Mr. Peter Ndegwa, the company’s Managing Director and Chief Executive Officer noted that the company’s significant revenue growth was striking in the challenging operating environment. “We have been able to deliver strong sales growth even in a challenging operating environment marked by a significant erosion of consumer disposable income. “While we are encouraged by the performance and results recorded this quarter, we remain realistic in our expectations for the full year. We are however confident that we have the right strategy to return to sustainable profitability and shall stay focused on its efficient implementation as we drive out costs, build out our portfolio and ensure we provide our consumers with options in the current pricing environment ”. The company continues to consolidate its unique position as the only Total Beverage Alcohol Company in Nigeria.This position has been strengthened over the past year since Guinness Nigeria acquired the right to distribute Diageo PLC’s international premium spirits (IPS) brands, including Johnny Walker, Baileys, Ciroc Vodka and Smirnoff Vodka in Nigeria in December 2015. Investment in its position was further entrenched in November last year when Guinness Nigeria commissioned a spirits manufacturing line at its Benin plant. 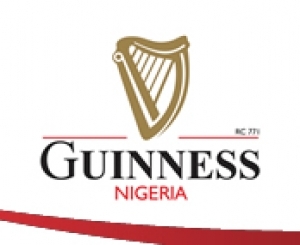 These investments strengthen and capitalise on the spirits brand base of Guinness Nigeria, allowing the business to compete across all categories of the alcoholic beverage market thereby deepening its operations and creating the capacity and a strong pipeline for long term growth.